Hello! I’m back today with more gift ideas, as promised in my last gift guide post. This time, I’ve rounded up an awesome list of nine of my current “must-have” picks for home decor/organizing fanatics and created this Home Design & Organizing Book Gift Guide . These books make great (and easy) gifts since you can purchase every single one through Amazon! I’m all about shopping online on the couch. in my PJs. It saves me so much time and stress. For me, fighting crowds at retail stores is just not fun. I am a fan of Toni Hammersley like my parents were fans of the Beatles and my kids are fans of Michael Phelps. She’s the woman behind the well-known A Bowl Full of Lemons blog, which is all about organized homekeeping. In fact, one of the highlights of my year was learning that she chose me as the featured blogger on her monthly One Project at a Time series in May! I pre-ordered this book and could hardly stand waiting for it to become available earlier this year. When it finally arrived, I took a half-day to devour it from cover to cover, soaking up page after page of organizing and home decor eye candy. The book serves as a comprehensive reference book for tackling storage and organization challenges in every space in your home. Toni shares creative ideas for organizing each space, and uses her stunningly gorgeous home as her classroom for demonstrating how it’s done. Any fan of Martha Stewart is sure to become a fan of Toni Hammersley and this book. Who DOESN’T have decluttering on the brain these days? I’ve said it before, and I’ll say it again, clutter is toxic. I believe it, and so does Ruth Soukup, the blogger behind the mega-successful Living Well, Spending Less blog. Through personal stories and practical action plans, she will inspire you to finally clear the STUFF that is weighing you down—once and for all. This book ventures beyond the clutter in our homes and also tackles the mental clutter and spiritual clutter that isn’t as obvious. Lisa Woodruff of Organize 365 is a professional organizer, blogger and podcaster who I have followed since the early days of my professional organizing career. When her newest book became available a few months ago, I was first in line to download it onto my Kindle. In this book, Lisa helps readers gain clarity regarding why there really is no “one size fits all” organizing solution. She shares her unique theoretical framework for understanding how to approach the process of organizing. Her framework consists of various stages of organization, as well as the four phases of life. She explains in depth how our approach to the decluttering and organizing process should be guided by our current phase of life. She puts into words what I’ve observed firsthand as an organizer for sure! 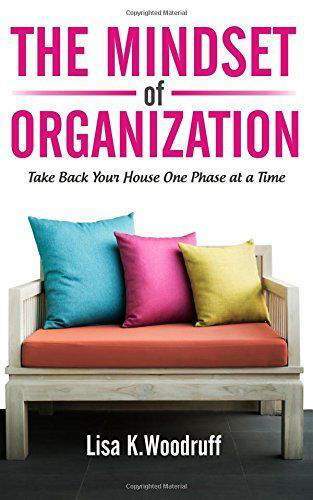 This one is a must-have resource for professional organizers, as well as an amazing self-help book. “Are you ready for less cleaning, less anxiety, and less stress in your life? Simplicity isn’t as complicated as you think.” Um, yes please! I haven’t read this book yet, but it’s on my personal wish list. Joshua Becker is considered the champion of the modern-day minimalist movement (he’s the blogger behind Becoming Minimalist). I always get so much value from his practical tips and encouraging blog posts/podcast interviews. 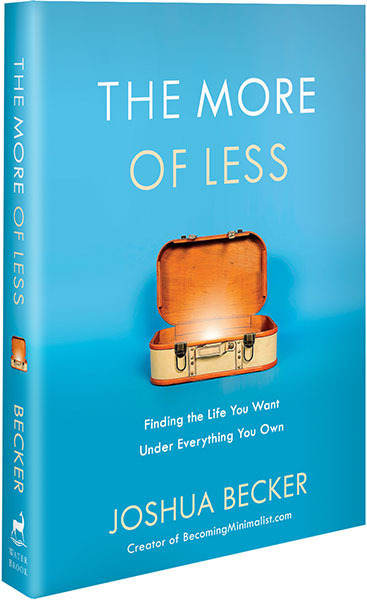 When I heard that he was coming out with a new book that outlines a plan for living more by owning less, I knew I needed to add this one to my reading list. You may be familiar with professional organizer Geralin Thomas from her Hoarders fame. If so, it probably comes as no surprise that she knows a thing or two about decluttering. 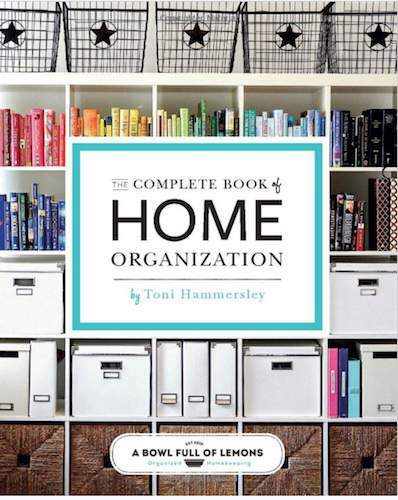 If clutter is a challenge for you and you can’t afford to hire a professional organizer to help you declutter, this book is the next best thing! 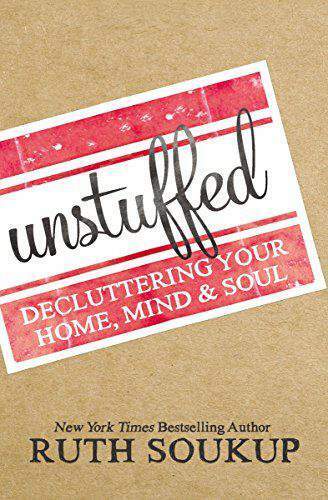 It’s a useful guide that will give you fun, creative and painless ways to get started with your decluttering efforts. Geralin shares tons of tips, techniques, quick fixes, and trade secrets used by professional organizers. Did I mention that she also has an incredible sense of humor? 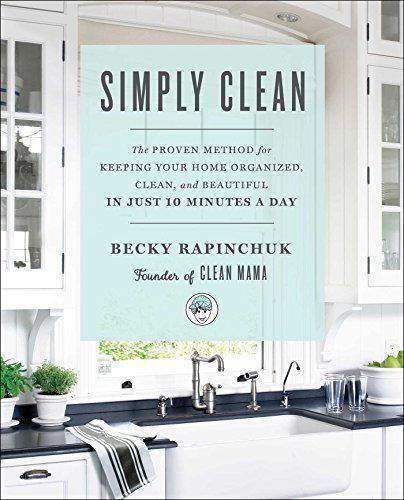 I couldn’t WAIT to get my hands on this book by Becky Rapinchuk (AKA Clean Mama). The Clean Mama blog is filled with valuable tips for keeping your home clean and organized. Similar to Toni Hammersbey, Becky is a gifted photographer with a beautiful home who treats us to continuous doses of organization & home decor eye candy. 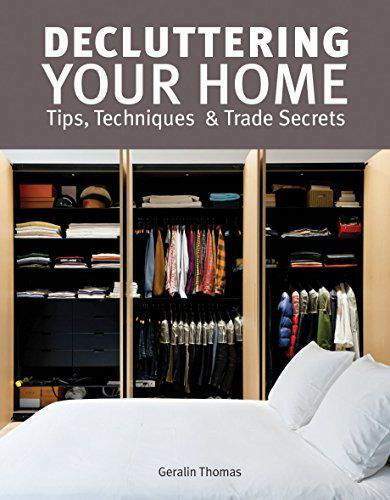 This book will appeal not only to those looking for organizing/storage solutions, but also to those who have a strong interest in using non-toxic DIY cleaning methods in their home. 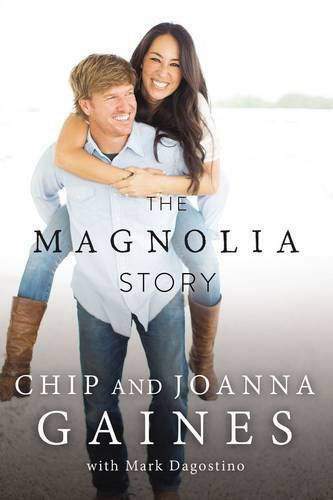 Chip and Joanna Gaines probably don’t require an introduction, but in case you live under a rock you haven’t heard of them, they’re the stars of HGTV’s hit show Fixer Upper. I’ll admit that I was late to the Fixer Upper party, but when I began watching it earlier this year, I was instantly smitten with this couple. Their design talent, coupled with their “couple chemistry” and seemingly charmed life on their Waco TX farm leave me curious to know every little detail about their lives (sounds stalker-esque, but I KNOW I’m not the only one). I’m guessing you can think of 10 people who feel the same way as I do and would love to get their hands on this book! 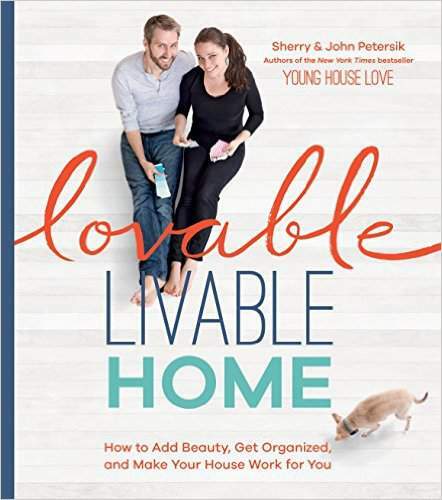 If you’ve been into DIY/home decor blogs for any length of time, you’ve probably heard of Sherry and John Petersik of the Young House Love blog. In fact, theirs was THE first blog I ever read on a regular basis. This couple has charmed their way into the hearts of millions of DIYers over the years, as they documented their own DIY home improvement journey in the midst of kiddos and chaos. This book is a sequel to their first book, Young House Love. In it, they share how to create a home that’s beautiful + functional in a fun, quirky, light-hearted way. This is another book that made it on my holiday gift list this year! I’ve spent years consuming episode after episode of Sarah 101 on HGTV. Watching her work her design wizardry in countless spaces on t.v. has been a true joy. Naturally, I’m super excited to see more redesigned spaces in At Home Sarah Style. 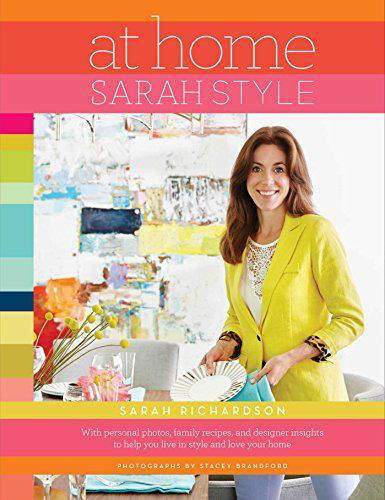 This book has been described as “the ultimate guide to living in style, loving your home, and entertaining with ease.” She shares a whole heap of design tips and design “recipes” in the book. Who wouldn’t want to learn from The Master herself? There you have it — my Home Design & Organizing Book Gift Guide! Did any of them make it onto your shopping list, OR your own holiday wish list? What other books would you include on the Must-Have list? Still have shopping to do? I just had the urge to purge! I do feel like I’m always getting rid of things and constantly moving things around for efficiency so maybe I could benefit from taking a deeper look into these books to see which would be a good fit for me. Thanks for sharing these with us at Funtastic Friday! Hey Angie — yes, take a look at Geralin Thomas’s book as well as Lisa Woodruff’s book. They’d both be terrific resources for where you’re at! Great article! I’ll be adding some of these books to my list. Thanks for sharing. Stopping by from Inspiration Monday.